The advent of chip card technology in 2015 was intended to cut down on fraud by creating a new code for each transaction that can’t be stored or reused. Yet while in-person fraud has decreased (online and phone transaction fraud has increased), it still exists. That means retailers still need to fight back. Some retailers are creating virtual police in the mall; how they work is still evolving as companies continue to fine-tune procedures to stop theft. While counterfeit use has dropped, thieves are increasingly using so-named “card not present” means of purchases – online and over the phone – to continue using fraudulently obtained credit card info. And in-person theft has not gone away. Some malls are investing in robotic security guards. Companies like Knightscope, a robotics company backed with nearly $30 million in venture capital, offers four robot models that can patrol storefronts both inside and out. The Knightscope models feature license plate detection, 360-degree video capability, weapon and heat detection, and autonomous motion and recharging. The robot models are equipped with intercoms, broadcast features, and live audio. They can play pre-recorded messages, detect humans in places they’re not supposed to be, and send and store video. Knightscope’s robots use sensors and lasers to build a three-dimensional map of their surroundings, meaning they can navigate without bumping into anything. And while a Knightscope robot was the subject of an unfortunate viral video that showed it drowning in a Washington, D.C., fountain, the company and those like it appear poised for future success. The robots are patrolling malls and parking lots, with 100 projected to be deployed by the end of 2018. Pattern detection recently helped PetSmart uncover fraudulent transaction patters and lead to charges. Other retailers are taking matters in their own hands to prevent theft. A recent Bloomberg Businessweek technology news article highlights how a PetSmart online security employee is working with local police departments to solve fraud. The article demonstrates how Chad Evans looked through online transactions to spot suspicious patterns. Online fraud has grown as chip cards have become more prevalent. Evans and his Phoenix-based team found that several people had complained about stolen cards being used to buy $400 electronic dog collars, with the products shipped around the country, including to Tucson. When the Tucson recipient picked up his package, he was stopped by police. He told authorities that he had been paid $20 to pick up the package and others, ranging from duct tape to tents to fences, and ship the goods to a freight-forwarding location, which would ship the items and others overseas. Evans, fearing the items might be associated with human trafficking, provided the FBI and local police with more data designed to catch the thieves. However, experts are quick to point out that many retailers do not employ workers in roles like Evans’. Scammers deterred by the chip cards can still buy products over the phone or on the web, then return the items to local stores and pocket the cash. 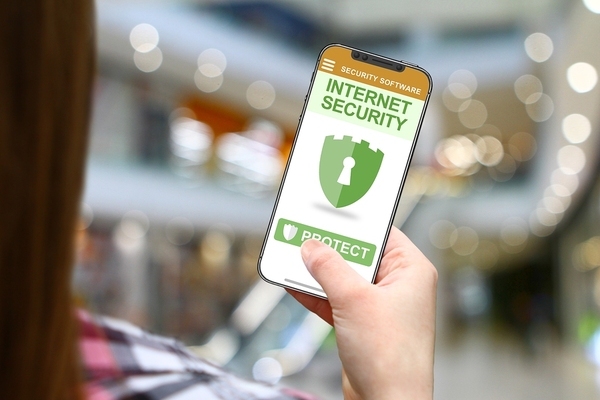 While robotics and data are key deterrents in the virtual mall security work at play today, other tools will need to be developed as thieves continue to scam retailers and their customers.